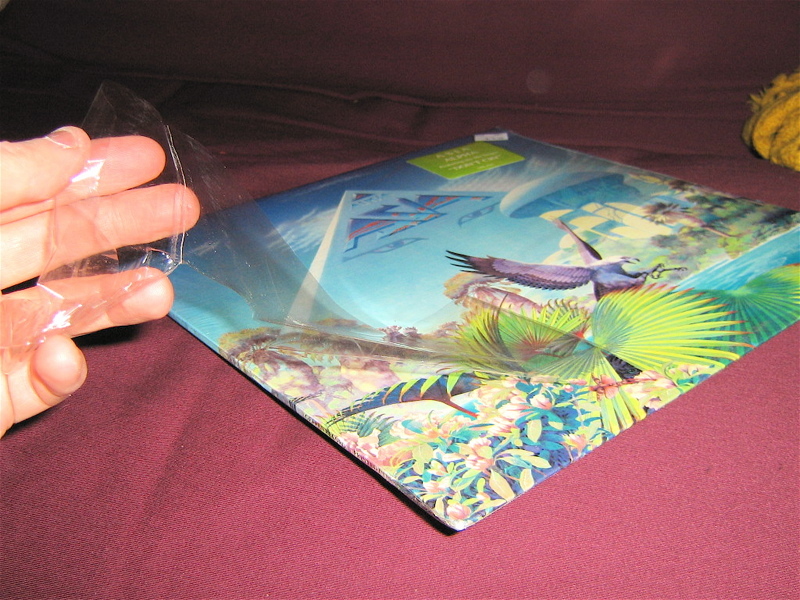 A brand new record album was always enclosed in shrinkwrapped plastic, just like CDs are today. However, unlike CDs, record albums were actually possible to open without hurting yourself. In fact, sometimes people would simply slice open the plasticwrap, slide out the disk inside, and smuggle it out of the record store. Oddly enough, the RIAA did absolutely nothing about this. This 23-year-old plasticwrap was brittle and came off in long strips.